Everyone loves a good video (even if it’s not about cats). Sometimes it just feels easier to watch a tutorial, rather than try to follow the written steps. After all, humans are largely visual creatures and 50% of our brain is used for visual processing, despite the fact that we have five sense. Also videos help us retain the information better. When reading most people tend to recall just 20% of what they read, 10% of what they see, and 80% of what they see and do. So it should come as no surprise that internet videos are gaining more and more popularity. According to Cisco, by 2020 internet videos will be the source of 80% of all internet traffic. Clearly video is huge, and it is only continuing to grow. Unfortunately, that’s not all good news. If you want to launch your YouTube channel or start creating great video content for Instagram, Snapchat or another platform of your choice, you will notice that the quality bar is high. You are certainly not expected to publish Hollywood-style action films on your channel, but blurry phone-shot videos won’t land you much attention these days either. Here are 15 simple, yet effective tips for creating great video content. If you’ve tried to watch a video where the audio was buzzy or didn’t quite sync up with the video, you know how disconcerting that can be. It can actually contribute more to ruining the viewer’s experience the poor quality audio. Consider investing in decent microphones. Film in places where background noise won’t be a distraction, If you shoot a great video, but have problems with audio, consider using restoration software to fix it. The most engaging videos use storytelling techniques. Without these, your video content will seem like nothing more than a commercial. Worse, it may not have any flow at all. Determine what your message is. Then, find a way to tell a story to convey that message. To get more video play and engagement from mobile users, consider shooting and publishing square video. This technique is strongly endorsed by Facebook as well as Instagram. According to Facebook’s tests, square video resulted in double the impressions. Viewers were also more able to successfully recall video content. It has now become the preferred format of most social media outlets. It isn’t difficult to shoot square videos with most cameras. You just have to adjust your aspect ratio to 1:1. All content should start with a powerful hook. Videos are no different. By filming a powerful introduction, you greatly increase the likelihood that people will continue watching beyond the first few seconds. To create a powerful intro, you can use many of the same techniques you would with written content. You can lead in with a joke, a stunning announcement, or an interesting fact or statistic. Anecdotes also work well. In addition to these techniques, you have the added benefit of being able to use visuals to make your intros even more powerful. For example, you can use visual effects to add impact. You can also go the more subtle route by using simple text on the screen with no audio to quietly grab attention. Before you publish your video, take the time to write a meaningful description. Be aware that this description plays a large part in viewers ability to find your video when they search for it. Insert the right keywords in your description to ensure you earn the best SERP rankings you can. When filming ends, your work has just begun. Invest time and money into post production work. This ensures that the best quality video makes it to your intended audience. No matter your budget, there is a video editor that can work for you. Download one, install it and work with it until you have it mastered. If possible, try to find a class on videography that focuses on the topic of post production. If you plan on creating plenty of video content, it will be worth the time and money you spend. Speaking of live streaming. This form of video content has become extraordinarily popular. The best live streaming videos often have an air of impulsivity about them. If you’ve watched them, you may see the host darting over to check something out that suddenly interests them, or stopping to ask random people questions. While it’s true that live streaming videos can go off script successfully, the best ones are shot with a basic game plan in mind. Before you start filming know what you want to accomplish. Identify things you would like your audience to see. Speak with a few people before hand and ensure they are willing to take a few moments to speak to you live on air. Don’t film videos simply because you think they might become popular. If you do that, your videos may be memorable, but any association between them and your brand will be quickly forgotten. Even if you’re shooting something that is simply funny or touching, find a subtle way to tie it back to your business’ values or personality. One of the most common issues with video quality comes from lack of camera stability. The truth is, most of us cannot hold a video camera for an extended period of time without bouncing or shaking it. It doesn’t even take much movement for the quality of your videos to be seriously impacted. Invest in a decent tripod. They are well worth the investment. If you plan to shoot video that requires a moving camera, there are some settings that can help things remain stable. You could also try building a wood steadicam as a diy project. Some of the most engaging video content you share with your audience may not even be produced by you. Encourage your audience to share their own video content. These could be videos of them using your products, their stories of how your products and services have improved their lives, or simply content that is funny or touching. You can use contests and giveaways as incentive to encourage others to share. As far as content goes, user generated content of all forms is exceptionally popular. People enjoy seeing their content shared and having their voices heard. Long videos tend to lose viewers. You can avoid this by keeping videos to between three and five minutes. If you have content that is longer than that, consider breaking it down into chapters or parts and publishing those separately. Live streaming content can be longer. However, unless you are filming something truly riveting, even that should be kept to ten minutes or less. This is also helpful if you plan on publishing live streaming video to your YouTube channel or website later. Just like regular video, if you have a lot of content to film, do it in ten minute chunks to give your viewers a bit of break. Remember that you can end live stream feeds by letting viewers know you’ll be back momentarily with more content. The more comfortable you feel being filmed, the better your videos will be. Rehearse until you appear as natural as possible in front of the camera. Your videos will also be better if you have your scripts as memorized as you possibly can. Your videos will be infinitely more watchable if you aren’t reading from notes or looking at cue cards. You’ll know you’ve been successful when conversations start around your videos. When that happens, don’t miss the opportunity to join in. Thank people for watching. Respond to comments and criticisms. Ask your audience what kind of video content would be most relevant to them. The more responsive you are, the more likely you are to maintain an interested and engaged audience. 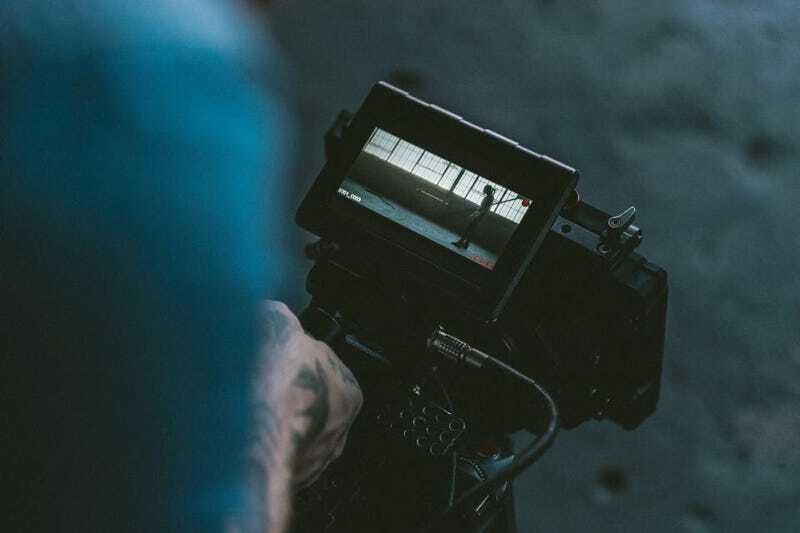 You don’t need to be a seasoned videographer to create engaging video content. Anyone who is willing to dedicate time and effort to creating quality video content can accomplish this by following the fifteen tips above.